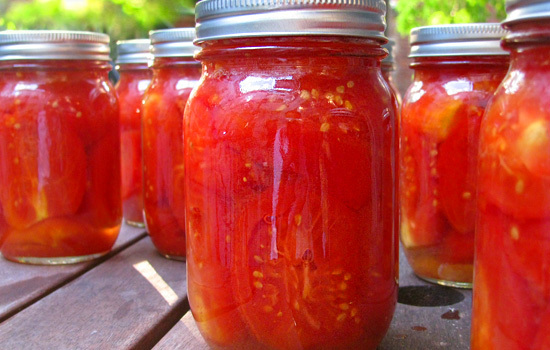 Whatever you choose to call it – canning, preserving, putting up – I’m into it. I used to be pretty intimidated by the idea of preserving food, it just seemed so, well…domesticated. So, I started out with one of the easiest things you can make…applesauce. It made me feel like, okay, wow. I did that. I didn’t realize how easy it was going to be, clearly! Then, later I moved onto jams, jellies, tomatoes and pickles. For the last few years, I’ve made some pretty darn good fig jam. It’s so, so good. It’s such a bummer when those gorgeous, flavorful, locally grown fruits and vegetables are gone…womp, womp, wommmp. You walk through the farmers market kicking yourself – shoulda coulda woulda. But it doesn’t have to be that way…you can savor it! You probably have a friend who’s always posting on Pinterest or Facebook about canning and other DIY projects. Ask them to help you get started – working with an experience canner is a great way to learn. Or, jump online and Google what you’d like to make, watch some videos, get yourself the gear (or McGyver your own) and your ingredients and recipes – cucumbers (I love pickles), radishes, tomatoes, apples…etc) and go to town. Get ‘er done! I found a super simple way of canning tomatoes via one of my favorite food blogs, the kitchn. As you will see if you click on this link, you just put fresh tomatoes in a roasting pan under the broiler for about 8-10 minutes on each side and just let them cool…then they peel very easily. Then, onto the canning part…grab your jars and lids and boil them in a stockpot for about 15-20 minutes. 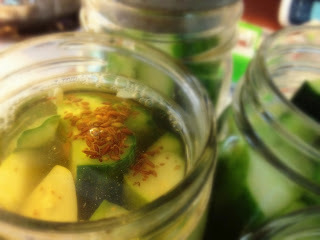 Pull the jars out using a jar lifter and let them cool a bit. Fill the jars with the roasted tomatoes, put the lids on and submerge the filled jars in the boiling water for another 20. Using your jar lifter, remove the filled jars from the boiling water, let rest and cool on a kitchen towel. This is the important part: you will hear each one seal with a “thump” sound. They don’t all do it right away…don’t panic. Sometimes they can take as long as an hour or longer to seal. Can’t wait to get a big ‘ol load of tomatoes from the farmers market this weekend. It’s gonna be so much fun – a canning partay in Hampden. I’m gonna make tomato basil jam, puttanesca sauce and marinara sauce. Whatever you’re preserving, be sure to do your research and follow directions very carefully to be sure you’re working safely. This is not a project where winging it will work. This is especially true with tomatoes. Here is a great book to help you along the way – Food in Jars – an excellent resource! Grab a friend and put some stuff up! Come winter, you’ll be glad you did. It’s sangria season – what’s your favorite?